I haven't kept touch with her for years, and I don't own her character, though I'm sure she absolutely wouldn't mind more cute drawings! 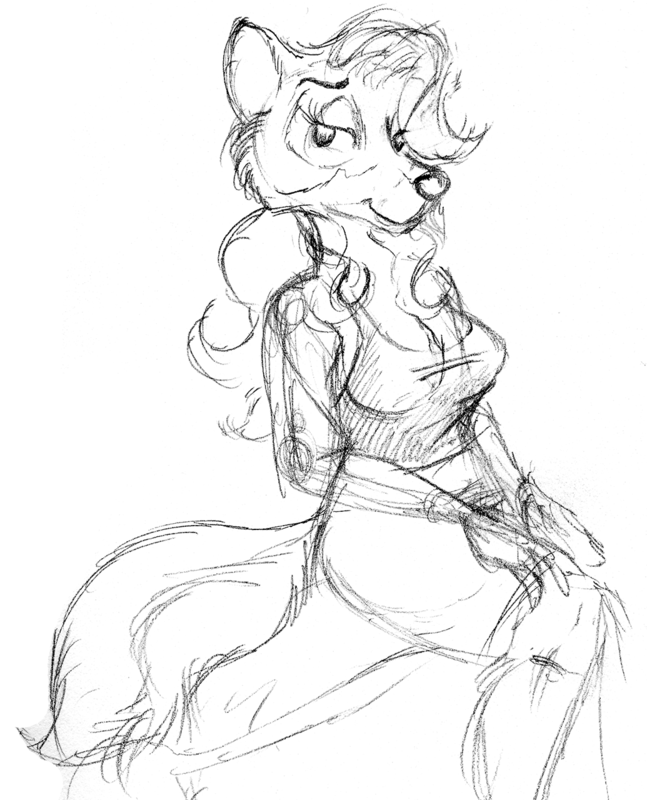 Inspired by many drawings from 1997, I wanted to take her on again, and make her look more like an actual wolf! I gave her a larger muzzle, a bigger snoot, and smaller ears. I absolutely adore that hair!